Environmental and community groups in Suffolk are using the latest websites and online tools to bring people together in real life. As the BBC encourages those who aren't yet using the internet to take their First Click, many in the county are meeting online and then in the flesh. Joanne Brannan has started the Oak Tree Low Carbon Farm near Ipswich. "The online discussions let everyone get involved, then when we do meet up we can all have fun," she said. "Everyone is busy with families and work and social lives, so it means when you do have a little bit of time, you can go into the online community and have a chat," said Ms Brannan. 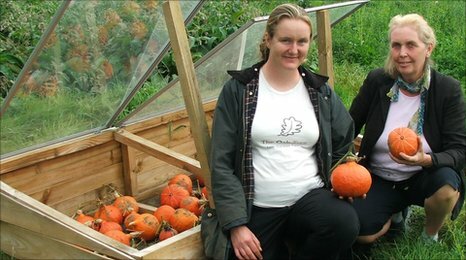 Joanne writes about the farm for the Guardian newspaper's website and is also part of the Transition Ipswich group. This is part of a community movement which originally started in Totnes in Devon. It aims to bring towns and villages together to make themselves resilient to changes in the climate, food and energy supply. There are now several Transition Towns in Suffolk where skills and experience are being shared online. "The online side is pretty essential," said Rona Sharp, who is one of the founder members of the Ipswich group. 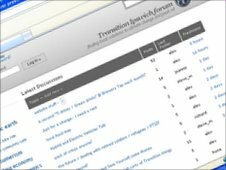 "We started with email groups, but now we have a new website with a forum." They originally used different email lists for daily, weekly or instant updates which were sent out to everyone who had signed up. "It wasn't without problems," said Ms Sharp. "People either got bombarded with emails or they didn't hear anything and a few complained that people were chattering too much." Since then the technology behind websites, and the ease with which individuals can set up and manage them, has changed significantly. "We'd be lost without online," said Don Tricker, one of the volunteer directors of the Saxmundham & District Community Interest Company (SADCIC). SADCIC's website describes it as 'a local social enterprise, formed in 2007, by local volunteers, to encourage and support the economic, social, health and environmental wellbeing of all the people of Saxmundham and the surrounding area'. 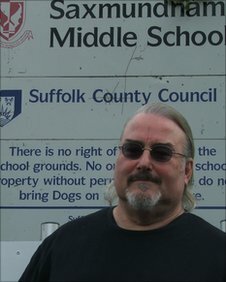 It is putting together a plan to convert the middle school buildings into a community centre when the school closes in 2012. "First of all we have a website for two-way communication which keeps people in touch with each other," said Mr Tricker. "Email is very important as well, and it's about fast interaction - we can update the website 24/7. We can take communications 24/7. "In a rural area the online communications are quite key." BBC Suffolk is having a week of computer-focused fun to inspire those not yet online to take their First Click.